Dirt, Dust, and… a Craving for Chicken Tikka Masala? I have just spent over a month with the newest Sportsmobile, and the vehicle had an unusual effect on me: a persistent craving for Indian food. Why? Because every time I got inside my first thought was, Taj Mahal. Furthermore, after a few hours in this 2008 E350, my wife Stephanie, Overland Journal’s director of design, had practically adopted the vehicle, making some mention of decorating in French country with toile curtains. Obviously the change from traveling in a compact pickup to a self-contained camper had a dramatic effect on both of us. 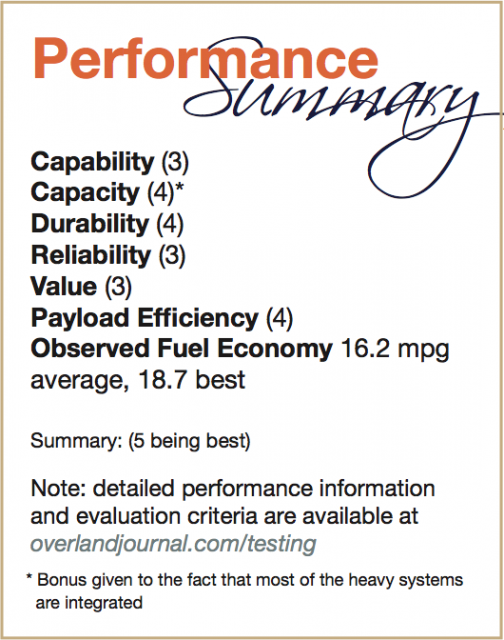 In comparison to the many other vehicles I’ve tested over the last decade, the Sportsmobile stands out with several exceptional qualities and a few concerns. 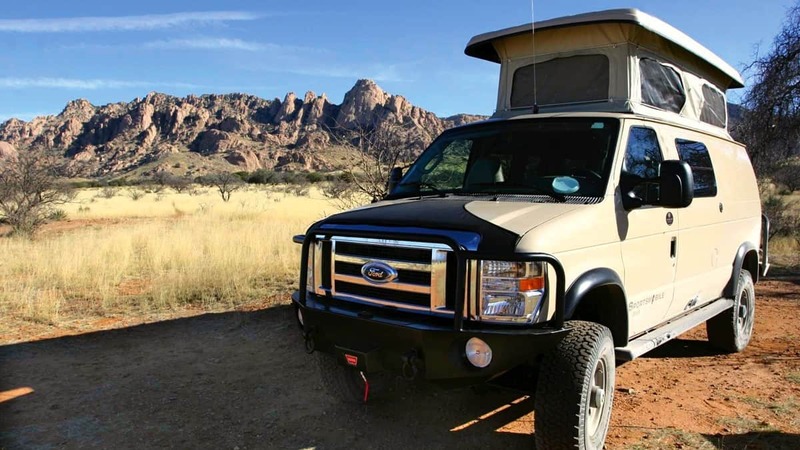 From my experience with this vehicle, which included thousands of road miles, hundreds of dirt and trail miles, and an adventure into Copper Canyon, three attributes rise to the top: highway performance and comfort; camper space, efficiency, and refinement; and trail performance. I drove to Fresno, California, the home base for Sportsmobile West, and spent a few days with Alan Feld, the owner of the successful western division. 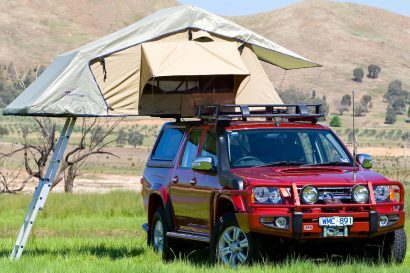 Sportsmobile West is responsible for the design of the high-clearance 4WD conversion that has been available for the past few years. The package started as the obsession of a talented and committed engineer who worked for Alan, and the culmination of his efforts is one of the best-handling 4WD vehicles of its size I have driven. Highway comfort is excellent, and handling exceeded my expectations, given the 35-inch tires and leaf-spring suspension. Central to the suspension’s effectiveness are the military-wrapped Old Man Emu (OME) spring packs and custom-valved OME shocks. 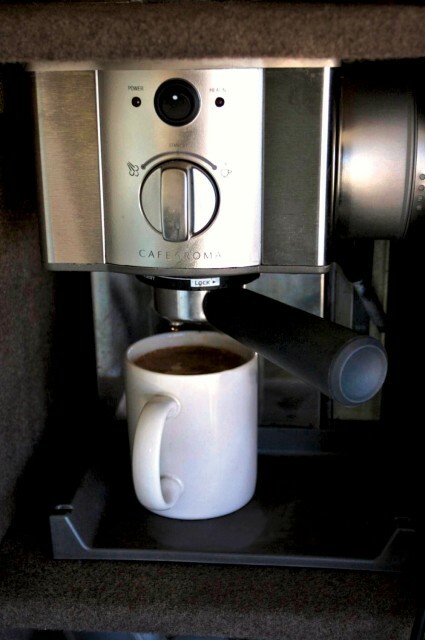 Steering is easy, with good on-center feel. Even with more aggressive driving on curvy mountain roads the chassis remained composed and neutral. However, the driver should never forget that this 9,000-pound camper cannot defy the laws of physics. 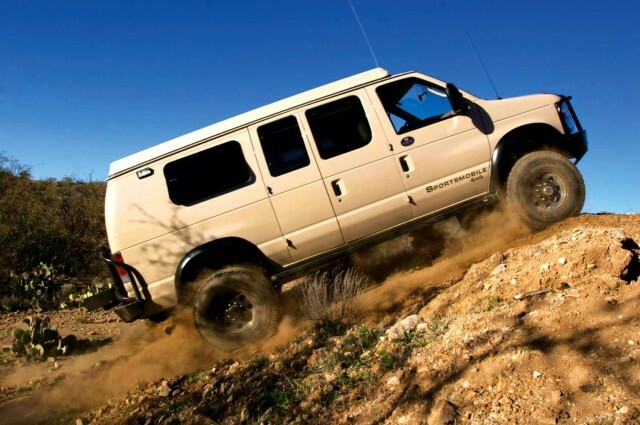 If you need to stop quickly, the van is equipped with four-wheel disk brakes with ABS. 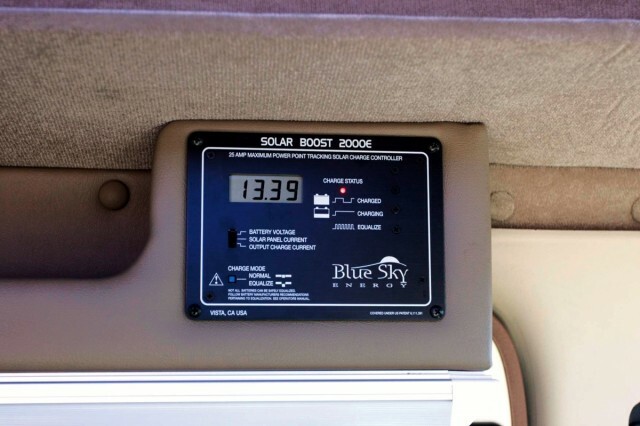 The front disks have been upgraded to huge, 14.5-inch F-550 units. Comfort is further defined by the commanding view of the road, which found us looking nearly eye-to-eye with drivers of 18-wheelers. 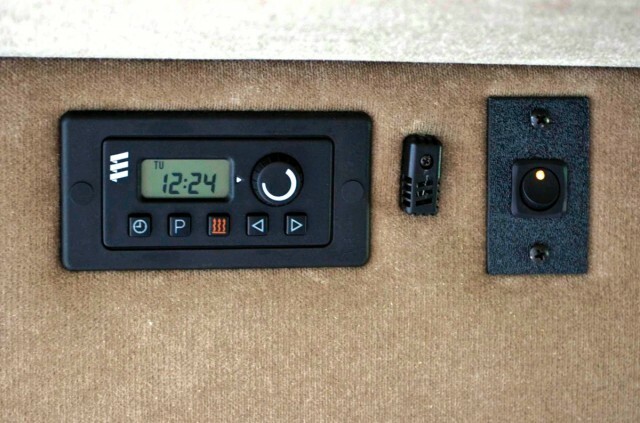 A Kenwood stereo and navigation system (which uses a Garmin interface) kept the iPod tunes flowing and made route-finding easy. The leather seats are supportive and had sufficient adjustment; we appreciated the armrests, which are absent from so many modern vehicles. The engine access panel does restrict passenger foot well room slightly, and noise from the diesel at highway speeds is more intrusive than I liked. After spending many years living around my Toyota, it was quite an experience to live inside the Sportsmobile. The unit we tested was configured as an RB50 floorplan, which is designed to maximize the living space for two people. Many customers opt for a custom aisle way and additional cabinets, but I found the open arrangement of the RB50 to be the most effective. 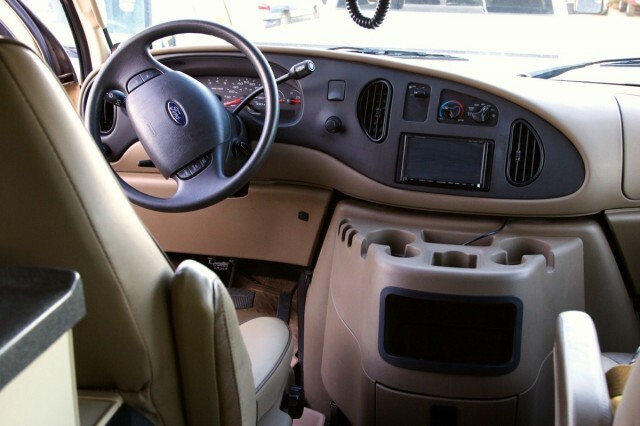 The passenger side captain’s chair swivels 180 degrees to face the center of the camper, creating a comfortable easy chair out of the way of the galley. 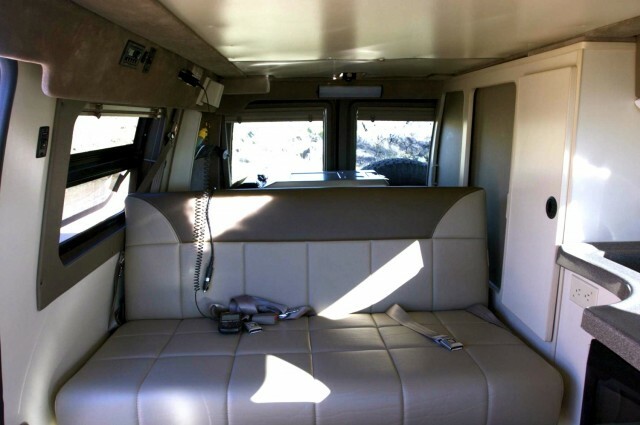 A leather couch at the rear faces forward and provides additional belted seating for passengers, as well as a place to sit while in camp mode. The couch can be laid flat for additional sleeping, but the primary bed is a comfortable double mattress suspended overhead in the loft area of the pop top. 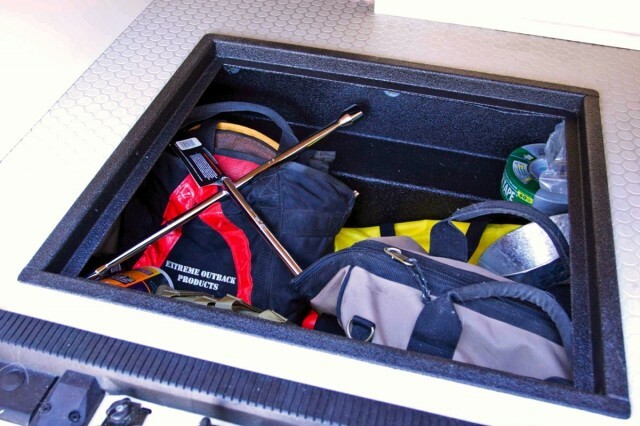 Behind the couch, accessible through the rear doors, is a 48 x 50-inch, dual-layer storage area, which allows you to keep all of your support equipment away from the living area. I took everything I normally store in my Tacoma and put it in the back, and barely filled the bottom layer. 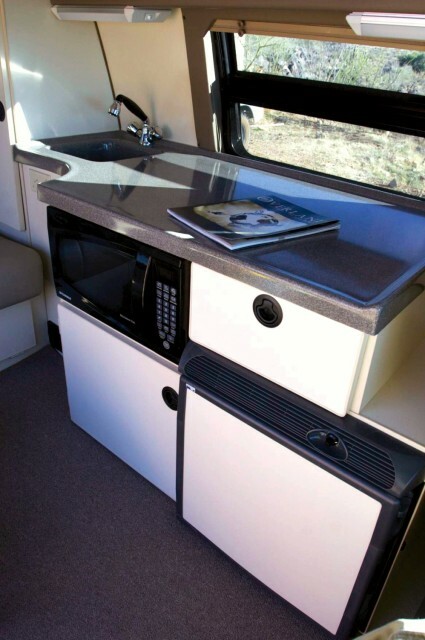 That left us with all of the side cabinets and kitchen area for luxurious food and kitchen equipment storage, and we also brought an ARB 45-liter Fridge. Below the floor is a huge, Line-X-coated wet locker. I used that to carry all of my tools, fluids, and recovery equipment. 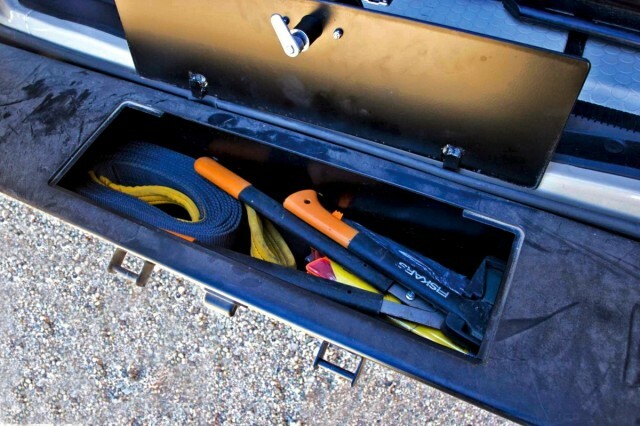 It’s a bit tough to access once the back is loaded, so we kept some basic recovery equipment in the rear bumper storage for quick access should an emergency trail recovery be required. 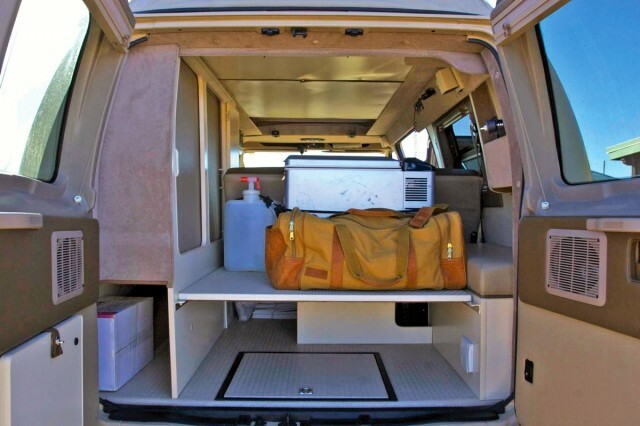 Thanks to the van’s semi-cab-over configuration and box-like interior, we never felt at a loss for storage. The Sportsmobile is heated by a diesel-fueled Espar D4. 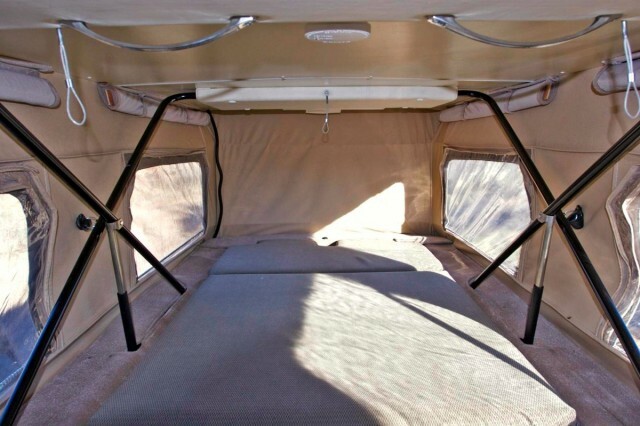 The near silent operation of the heater, combined with the safety factor of diesel fuel over propane, is a significant advantage for expedition travel. A safe, single fuel source for all systems should not be undervalued. However, we noticed that the sleeping loft stays significantly colder than the living area—I measured a 20-degree difference one night in Creel, Mexico, when the outside temperature dropped to 19°F. This could be solved by fitting a return vent in the loft. The trail-specific modifications to the Sportsmobile sounds like a who’s who of the 4WD world. They include a Dynatrac ProRock 60 front axle, an Atlas transfer case with 3.0:1 (3.8:1 optional) low range, swaybar disconnects, and 35-inch BFGoodrich All-Terrain tires. As a system, it works. 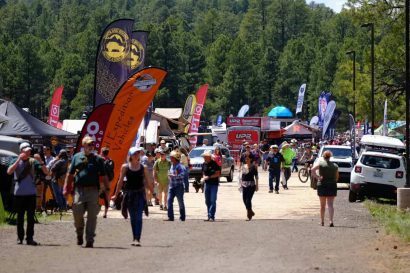 In fact, we effortlessly drove the Sportsmobile through every obstacle on our southern Arizona test track, and then went out to find something that would give it a challenge. 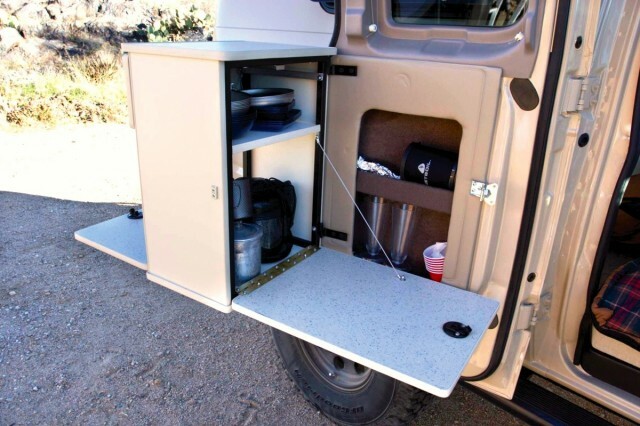 There are of course places where the van will simply not fit, but for any reasonable obstacle encountered on an expedition there is capability in reserve. If you do get stuck, a 12,000-pound Ward winch waits behind the custom aluminum front bull bar. The unit we had was equipped with a tight limited-slip differential in the rear Dana 60, but ARB Air Lockers are available options. 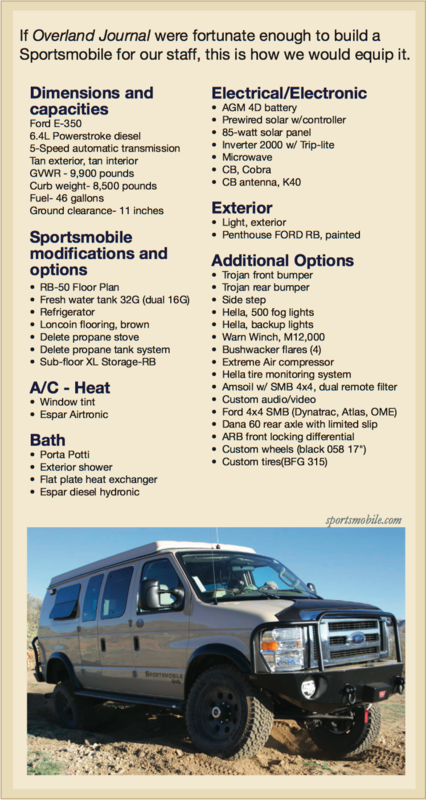 The Sportsmobile is a world-class expedition platform, and proved itself to me on a major overland trip into Copper Canyon, Mexico. The combination of a spacious, comfortable living are, good storage volume and payload, diesel power (we averaged 16.2 mpg), and excellent trail capability is a rare find in North America. From driving comfortably at 75 mph to crawling at .5 mph over technical terrain, the versatile performance is a notable accomplishment by Sportsmobile. 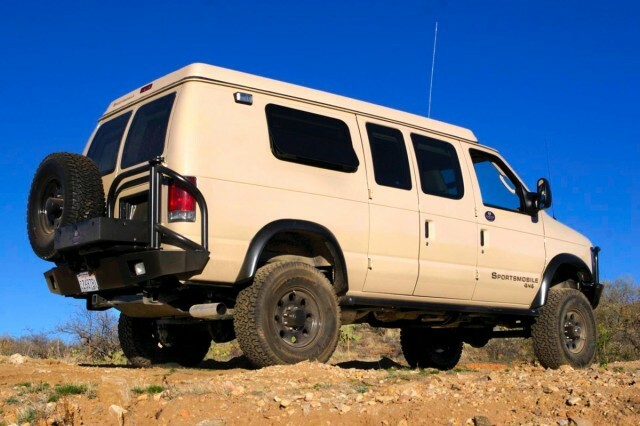 My only concern with the camper is with the base chassis, and the quality record of Ford, which has been tarnished by the 6.0-liter Powerstroke. 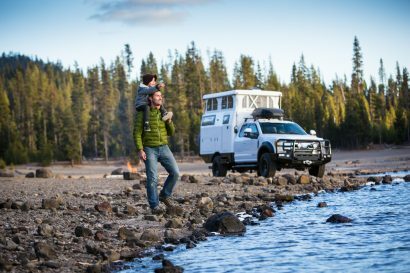 All indications are that the new 6.4-liter engine has addressed those concerns, and I hope they have, as this expedition camper van is otherwise ready for an around-the-world overland trip. 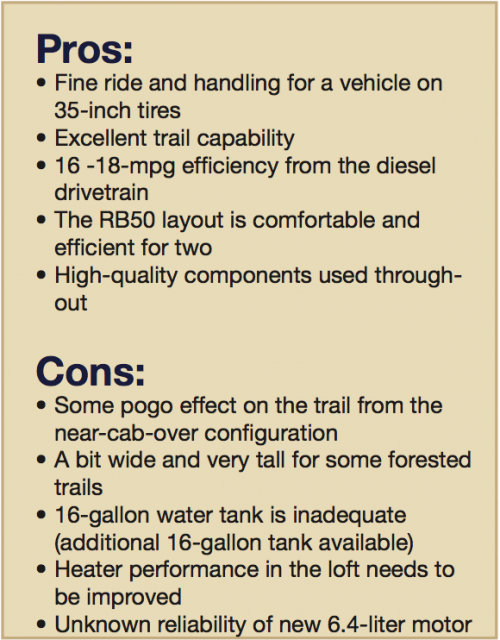 Article originally appeared in the Spring 2008 Issue of Overland Journal.